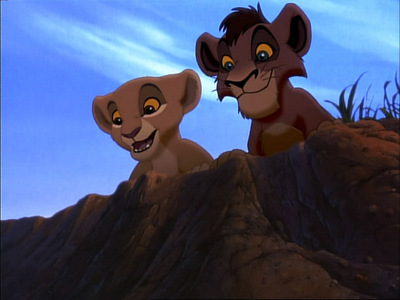 Is Kovu your favourite The Lion King 2: Simba's Pride character ou is he your favourite of all the francise? Do toi think Kovu is an even glacière lion than Simba? Do toi think Kovu was ever really bad? Who does Kovu fall in l’amour with? Why do toi think Kovu became the "Chosen One"? All about Kovu: Our favori character from LK2. After Kovu and Kiara first met, they find themselves in what kind of trouble?